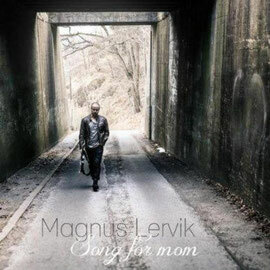 Swedish guitarist Magnus Lervik released "Song For Mom" on March 29th, for the support to organizations that focuses on cancer research and to help cancer patients. This is the song which is dedicated to his mom who died last year as well as to the memory of everyone who have lost the battle against cancer and to everyone who is fighting cancer right now but also to their friends and families who have to watch it happen. The song is now available on iTunes, amazon, Spotify, Nokia OVI, Deezer, eMusic, Wimp, Rdio, 7Digital, 24/7 (9 stores), Rhapsody, Simfy. You can also visit any cancer organization and make a donation to support cancer research and cancer patients.